Well, OK, not really fat. But Big. And Greek. And Baklava. This stuff is amazing. Really. It’s quite time intensive if you don’t have a food processor. Which I don’t. But worth it. And I just happened to be home all alone so I decided to go play in the kitchen. I love being home all alone. I can crank up my music as loud as I want and don’t have to see anyone stomp into the kitchen, roll their eyes at me and say, “Mo-ther! Turn your music down! You’re not the only one who lives here ya know!” Not that that has anything to do with Greece. 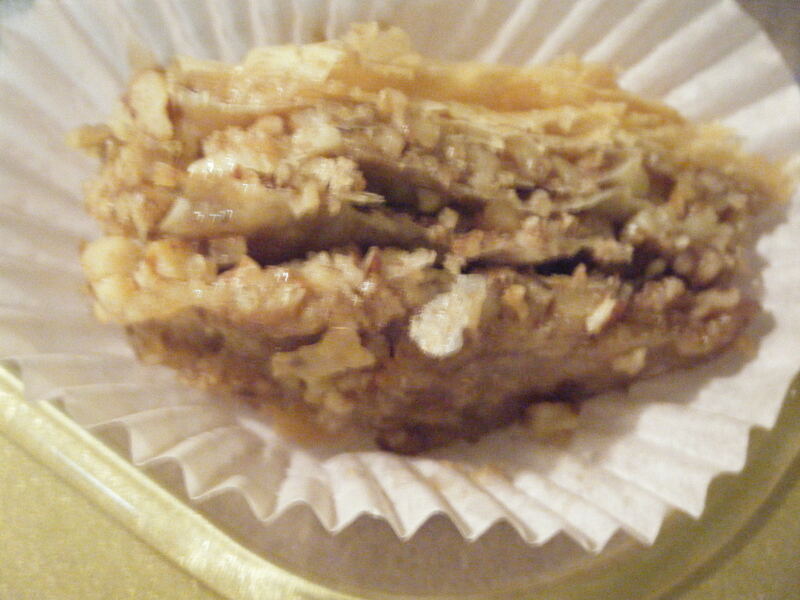 Or Baklava. It just makes me giggle. 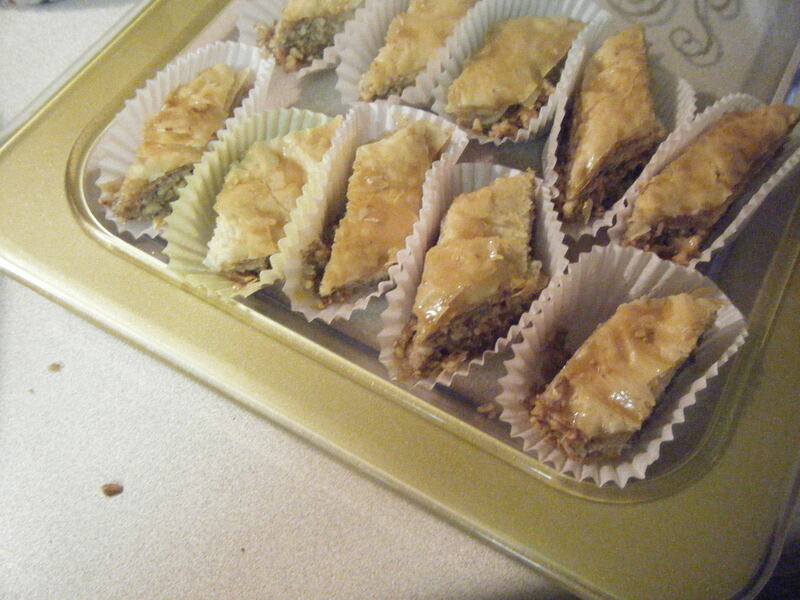 But back to the Baklava. I looked at many different recipes and combined several to make this. It uses several different spices, but no worries if you don’t have them all. Some of the recipes I looked at only called for cinnamon. So just use what you have on hand. Preheat oven to 350 degrees. 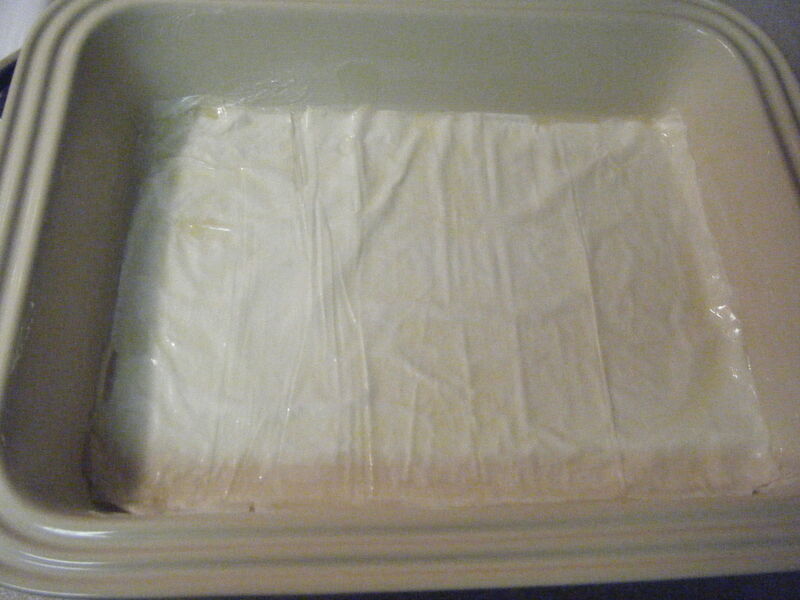 Butter a 9×13 inch baking dish. Chop the nuts very fine. You can do this by hand or in a food processor. Chopped nuts are so fine! Or is that finely chopped nuts? 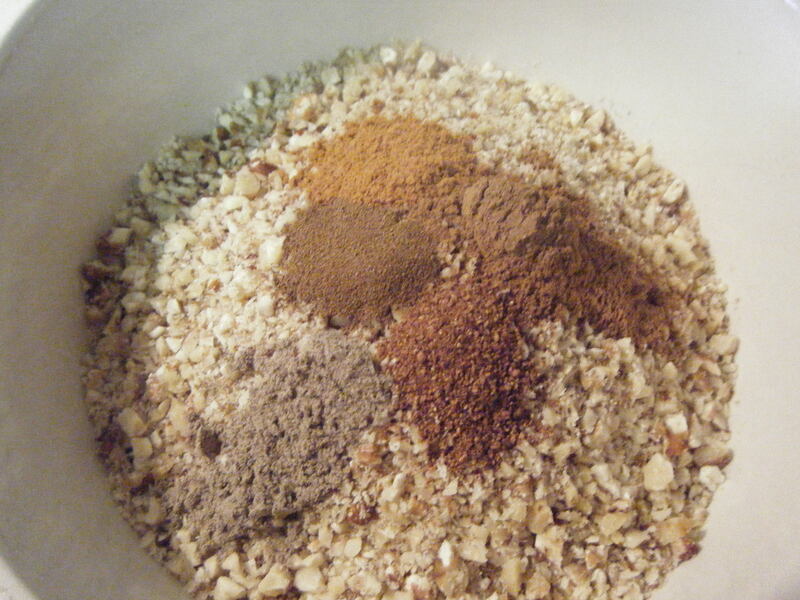 After the nuts are fine, mix the ground spices into them. Don't the spices look pretty? Ok, now comes the tricky bit. Unroll the phyllo and place it on a cookie sheet (or your counter top if it’s clean enough). Mine measured 9×14 so I had to cut an inch off of one end so it would fit my baking dish. 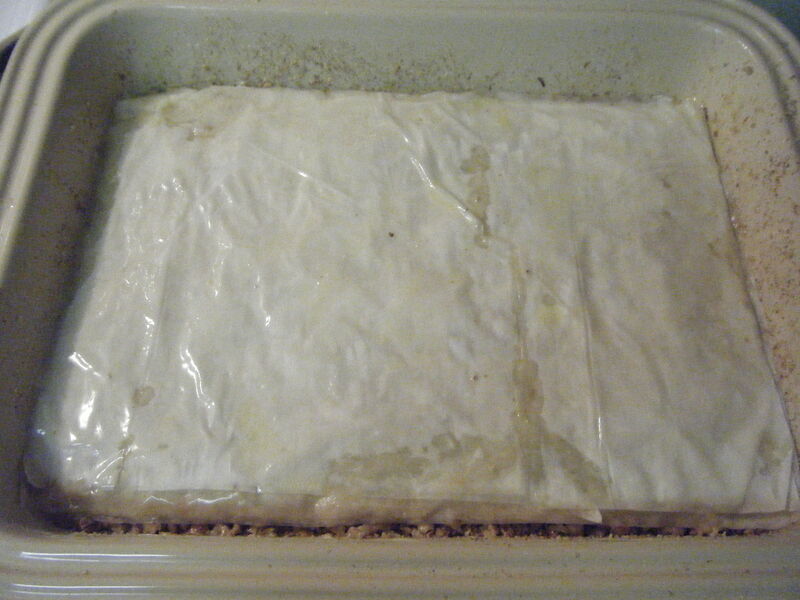 Now, cover the phyllo with plastic wrap and then with a damp cloth. 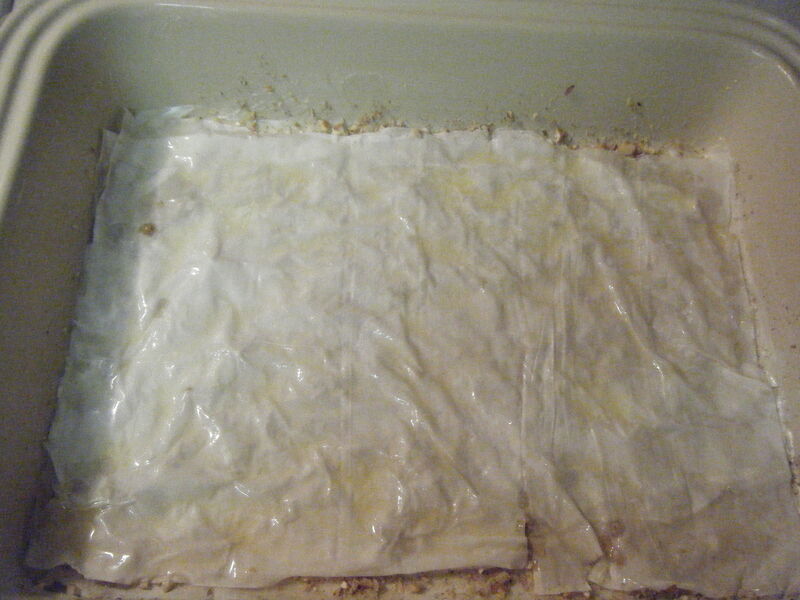 Some people say to just cover it with the damp cloth, but mine made the phyllo kinda soggy and it stuck together. So now I cover it with the plastic wrap first. 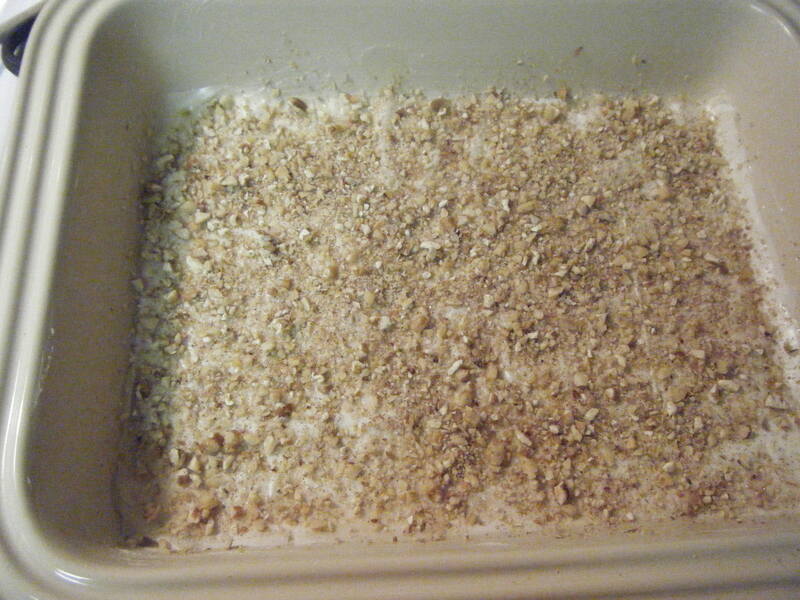 Place 4 to 6 sheets of phyllo in the bottom of your baking dish. Brush generously with butter. 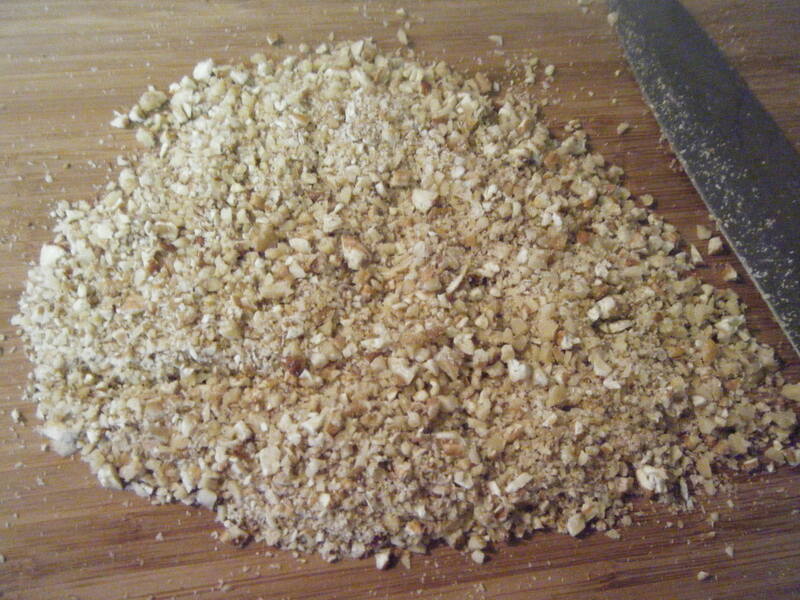 Sprinkle 5 to 6 tablespoons of the nut mixture evenly over the phyllo. You can put more than that if you want, just keep in mind that too much at a time will make the Baklava not stick together as well. Now, add 2 more sheets of phyllo dough and brush with butter. Continue to layer the nuts and phyllo sheets, brushing the sheets with butter as you go, until you have used all of the nut mixture. For the top layer of phyllo, use 6 to 8 sheets, buttering each one. 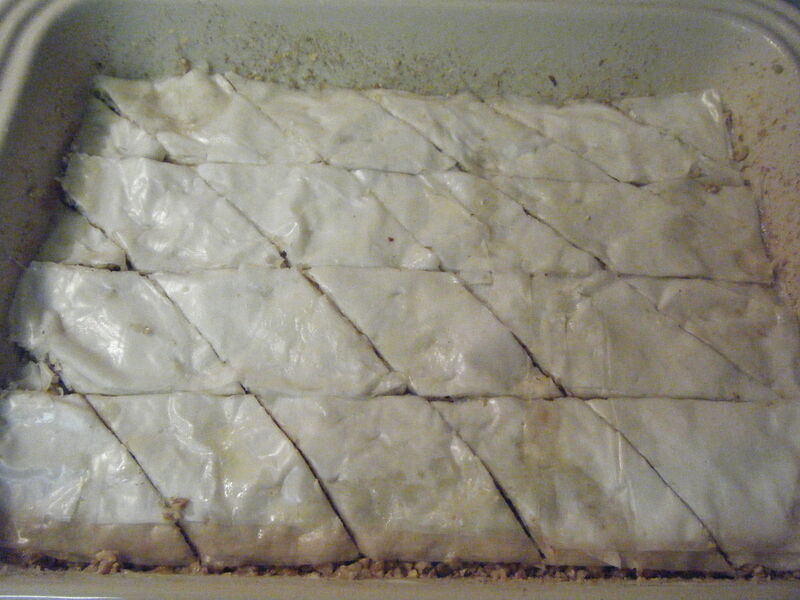 Now, using a very sharp knife, cut the Baklava all the way through, into 4 long rows. Then cut diagonally to make diamond shapes. Cut and ready for the oven! Confession time. I didn’t cut mine in small enough pieces before I baked it. So, after it cooled, I cut the pieces smaller. Bake the Baklava for 40 to 50 minutes until golden brown. While the oven is doing its thing, it’s time to make the syrup to pour over the golden loveliness. 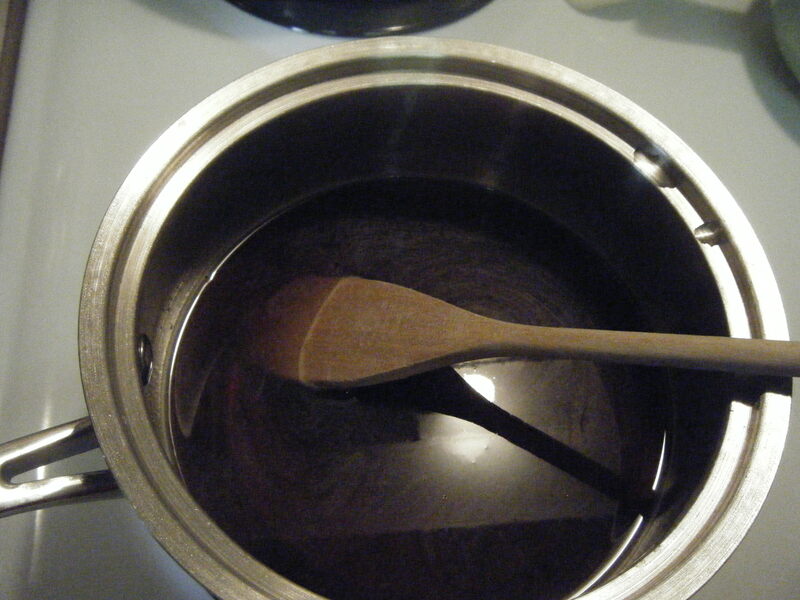 To make the syrup, combine the brown sugar and the water in a small saucepan and bring to a boil. 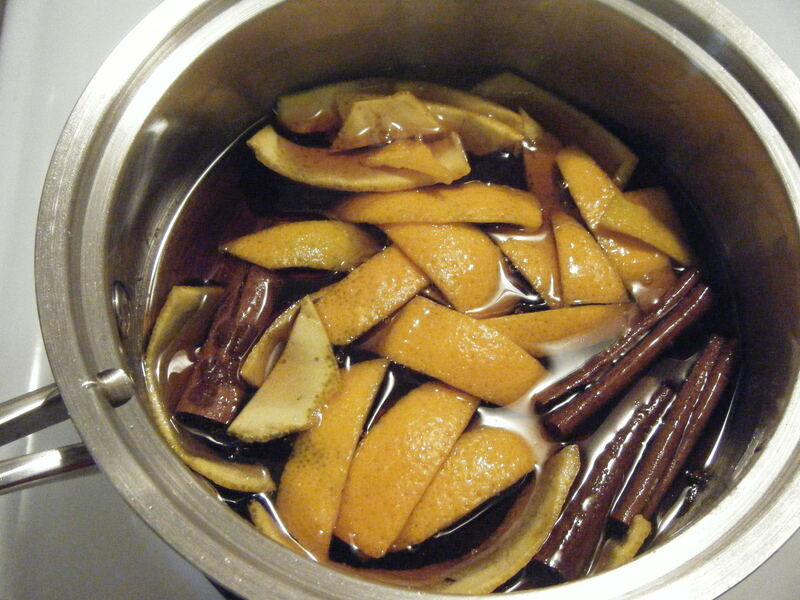 After that comes to a boil, add the honey, cinnamon sticks, cloves and orange peel. Again, if you don’t have add of these things, it’s ok. Just use what you have. Let that come back to a boil, then reduce the heat and simmer for 20 minutes. After the simmering, the syrup will be reduced and nicely thick. 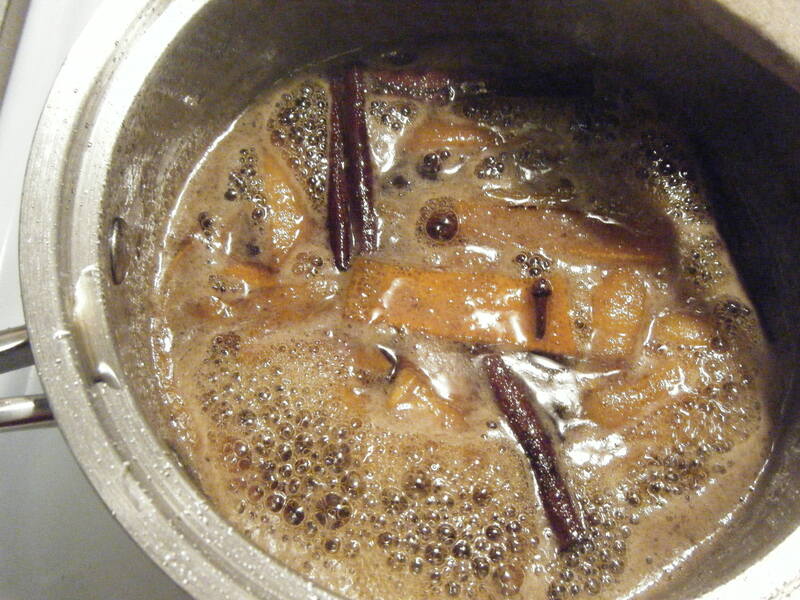 Remove and discard the cloves and cinnamon sticks. The orange peel is now “candied” orange peel and can be used in other recipes. Or, you can discard that as well if you want. Add the lemon juice and the vanilla and mix well. Remove the syrup from the heat and allow to cool slightly. 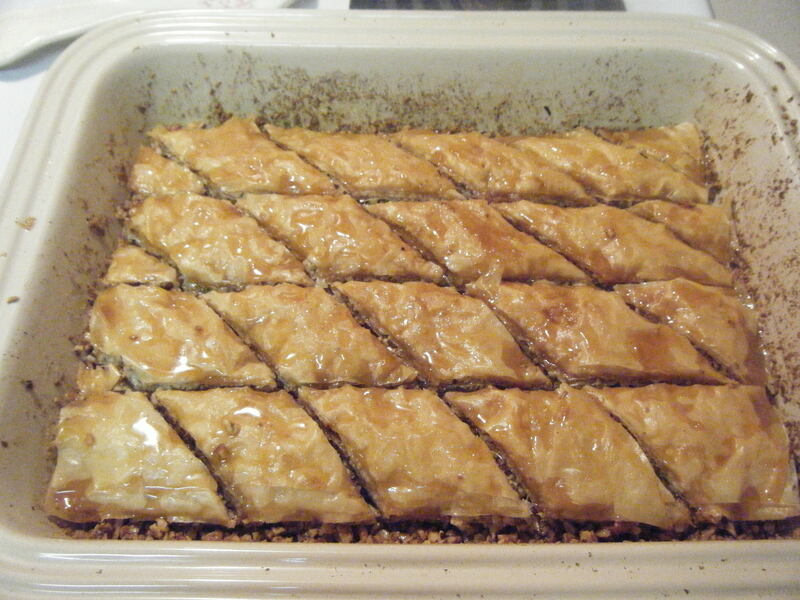 After removing the Baklava from the oven, immediately spoon the syrup over the top. 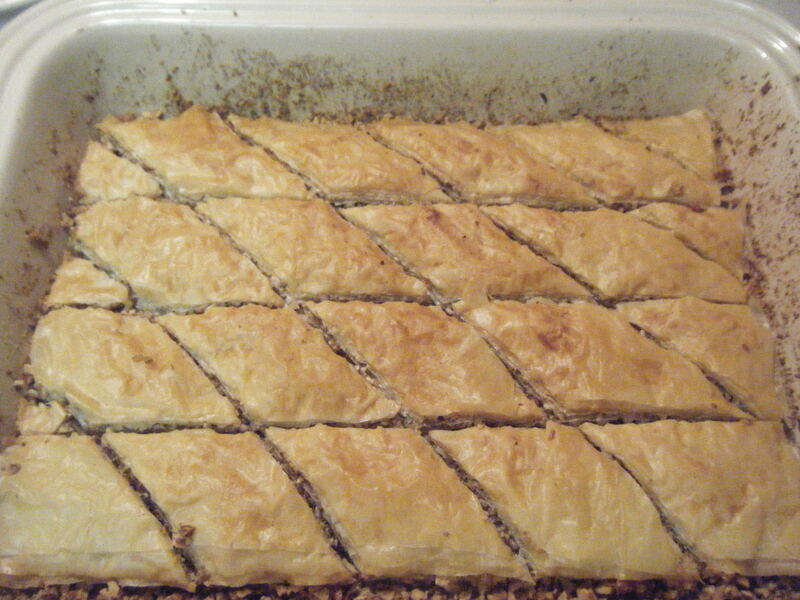 Let the Baklava cool completely before serving. I like to put it in cupcake papers to serve it. That makes it easier to handle and looks pretty. This is wonderful served as a dessert, or for a mid afternoon snack. Or you can take it to a party and really impress your friends! 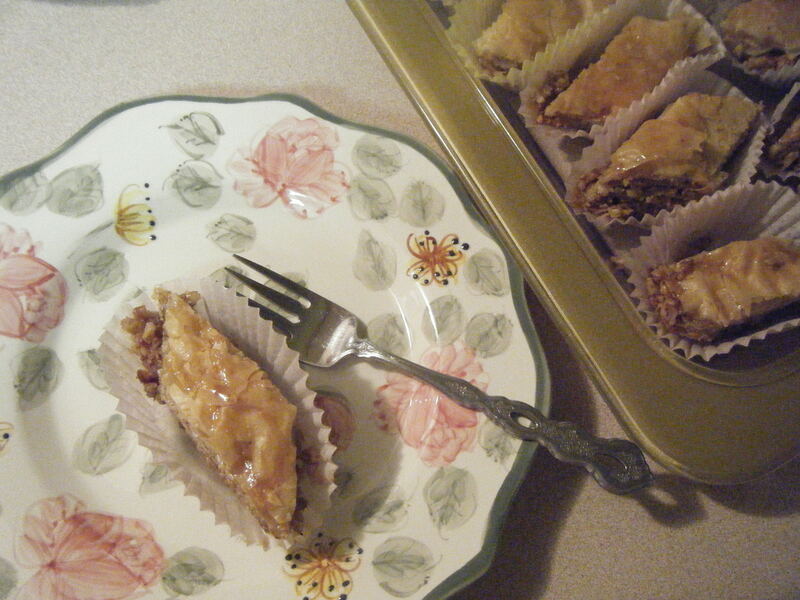 For best results, store your Baklava uncovered. That way it stays crispy.